I always love it when a reader contacts me and tells me they are having success with their niche website! Doug Cunnington contacted me recently and let me know that his site of only a few months already is earning over $1,200 per month! 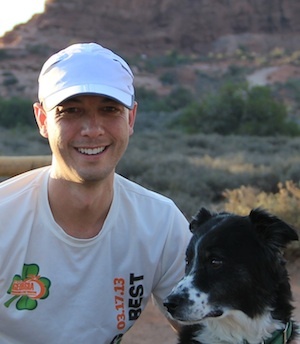 That's right, niche sites still work…Doug's story is just more proof! Of course, I've shared many other success stories right here many times in the past. However, its always great to hear another fresh story of someone's success with niche sites. If you have your own success story to share, please read how to do that here. 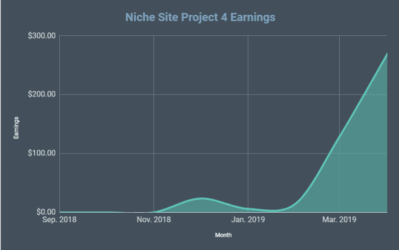 I love Doug's story because not only does he have some great tips to share, but the quick earnings growth of his niche site is quite impressive! Finally, Doug is also taking a project management approach from his “day job” and applying it to niche sites. So far, his strategies appear to be working very well! He was also clever enough to buy the domain name of a phrase I coined over here: “Niche Site Project”. (Maybe I should charge a royalty!). So, you can now follow along with what Doug is up to at NicheSiteProject.com. 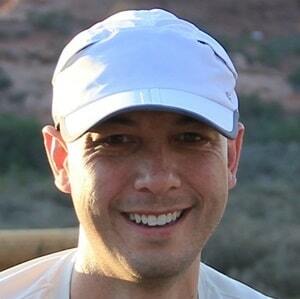 My name is Doug Cunnington and I work full time as a project manager for a software company. I’ve been working in IT consulting and project management for about 10 years. I would also consider my secondary professions enthusiastic owner of a border collie and supportive husband to my wife of 4 years (my wife considers my primary job to be a supportive husband…). I started creating niche sites after finding the Smart Passive Income podcast earlier this year, 2013. SPI led me to discover Niche Pursuits at about the same time that Spencer was working on the first Niche Site Project. I thought the concept of “passive” income was fantastic and decided to explore the possibilities in my spare time. 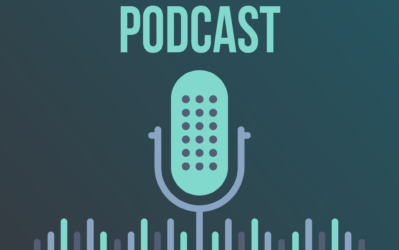 I enjoy diving into new hobbies and was intrigued by the many different options and variations discussed on the Niche Pursuits Podcast. I modeled my most successful web site very closely after the process outlined in Niche Site Project 1, an Amazon Affiliate site. Even though the link from Niche Pursuits is tempting, I will keep the domain and niche private. I started the site on July 14th and immediately began writing content for the main home page and moving on to product reviews. After a week, there were about 10 articles consisting of a 2,500 word front page post and product review pages with 400-900 words a piece. After the initial set-up, I contracted some of the product reviews out to a virtual assistant, some to my wife, and I continued writing so we could have the website up as quickly as possible. Prior to my highly successful site I created a couple of Google Adsense sites; these sites are still active, but none of them can hold a candle to the Amazon Affiliate site. One of the Adsense sites is making about $0.40 a day, so it’s not a failure in terms of covering expenses, but my efforts are better spent elsewhere. It turns out my initial keyword research was flawed, but the experience was a valuable learning process for me. I learned I can’t meet my revenue expectations if the average CPC (cost per click) is $0.40 and the search volume is ~1000 exact search matches per month. We are still experiencing tremendous growth and the holidays/retail season might prove to be extremely profitable. I also expect a significant drop off after December, partly due to the retail season and also because Google trends show a decline in the niche related keywords. The trend over the last few years is that the searches for this particular niche rise by about 25% from October to December before falling in January. We are currently working on expanding the website and improving rankings to include additional related long tail keywords, so I am optimistic that the income will continue to grow. Use a Buyer’s Term. The search term is something a buyer is going to purchase, not a casual web researcher. The site attracts traffic from Google on the way to purchasing an item. The number of unique visitors is not astonishing compared to other websites, but the users are interested in buying a product soon. We’re intercepting the visitors/buyers on the way to Amazon. It works remarkably well. You might have the best niche ever with a killer buyer’s term but you won’t get positive results without the third point…. Focus. This is the most challenging part and has two separate components. The first is the ability to NOT work on the other projects that are attracting my interest. Sure, I have some ideas for other niches, but working on more than one thing at a time or multitasking can result in many partially completed projects rather than one fully completed project. I firmly believe that focusing on the task at hand produces a better result, and I coach my project management team on this daily. The second part is focusing on the specific items that will actually make a difference, or, in project management terms, ensuring that critical path tasks are addressed (this is where I was able to utilize my project management background). For example, searching for just the right theme might not be a smart use of time. It is very tempting to spend time looking for the right theme because you have a really specific idea how the site should look. Then, once you find the theme, you end up wrestling with the layout, trying to get that widget in just the right space. And, once you are successful, the body of the article is displaying on your images. &*^#*!! While it is important to have a visually pleasing site, it is more important to have good content and high rankings. Once I have more income from this site, I may hire a web designer to make it “slick” looking, but I didn’t focus on this initially. Other things that might be distracting, but not critical to success initially are starting an email list, starting a podcast, starting youtube channel, etc. Those are all great things to do but think about those efforts in v2.0. You don’t need that stuff out of the gates. Think about making improvements over time; it doesn’t need to be absolutely perfect the first time around. First of all, I treat each of these endeavors as a project with a clear beginning, a clear end, and with evaluation points along the way. Having a structured mindset goes a long way to ensure that you are not putting the cart before the horse. It keeps you from reading about link building when you should be brainstorming about your keyword, or reading about converting visitors to your email list when you don’t even have a website up. The project of creating an affiliate niche site is overwhelming considering the work as a whole, but it really is just a set of tasks that are simple if you break it down. Finding a niche: It is a long process. Brainstorming – then research – then first page analysis. Rinse. Repeat if needed. Refer to Spencer’s guides since they are effective. After you get into a certain mode, the ideas just keep popping up all day long, every day. I kept a list to track all my ideas waiting to be researched. The hard part is figuring out how competitive the top ranking pages are to determine if you can rank in that coveted top spot. Analyzing competition is an art and something that is an ongoing learning experience, especially due to Google algorithm changes. For this site, my wife suggested that we try to choose a site related to something we were already interested in and/or had knowledge about. This definitely made it easier with our site, but I don’t think is a prerequisite. Getting Traffic & Ranking: I rely solely on Google search traffic. I haven’t been affected at all by any of the recent algorithm updates, thank goodness. I don’t have much to add that has not been said about ranking – it is all related to keyword research and backlinks. Backlinks are critically; even with killer, super valuable content, you need links. You need a keyword or niche that has a reasonable level of competition. If the niche is open and thin with content, then you have an opportunity to step up and rank highly with a smaller number of links. If the niche is highly competitive, then you have to assume that it will take longer to rank and more dedicated work along the way. Making money: Intercept a soon-to-be-buyer on the way to Amazon. If you get highly targeted traffic, then your job is easy (or at least it’s easier). Be very positive in your product review. However, I like to check out some of the 2 or 3 star reviews to try and find a legitimate issue, just so I can mention it. Most of the time, you can chalk it up to a user error in your review. Pointing out a minor flaw adds credibility. I recommend commenting as a good starting point. Otherwise, diversity in the anchor text is essential, so use tools like Majestic SEO & ahrefs to make sure the statistics are within acceptable ranges. Be wary of cheap fiverr gigs for link building or blog roll mentions. Private Blog Networks (PBNs) are extremely powerful but very, very time consuming to implement. Check out Jon Haver’s website for a guide on the process and you’ll see how much effort it can be. And, of course, check out Spencer and Hayden’s webinar outlines the process, too. 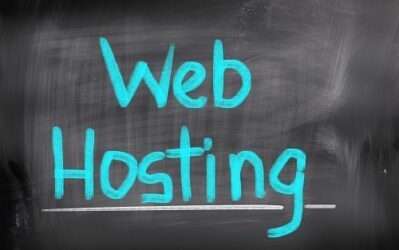 Please contact me if you have a PBN, even a couple sites, and are looking to leverage the power of your domains or you are looking for a PBN but are not sure how to connect with an owner. I am currently working on my own PBN but it is the startup phase. WOW – it’s a lot of work! Another huge impact is that I am writing a book that describes using project management best practices to create an Amazon affiliate website. This is project is producing a nice income that can supplement our regular income. My wife has been working part time for the last several months so this is a nice way to help make up the difference from a full time income. In addition, I am confident that I can start other affiliate websites or even larger projects. Most likely, this income will be the seed funding to scale and expand my web presence. Focus and understand which tasks are critical. Multitasking is bad without understanding the interdependencies and relationships between tasks. Set goals and deadlines so you can evaluate your progress. Please visit http://nichesiteproject.com where I will write about applying project management principles and best practices to niche sites. That will be the place to get updates about the alpha and beta releases for the book. The book will outline a lot of what Spencer has offered in his Niche Site Projects, my own research from many other sources, and how to take advantage of project management best practices to make niche site creation process driven. I am looking to connect with Niche Pursuits readers and to join a mastermind group so please contact me at the website if you are interested. Overall, congrats to Doug on the nice success he is having with his niche site! In addition, thank you so much for sharing your strategies with us here! As always, if you are reading this and have questions or thoughts you would like to add, please do so in the comments. Let's continue the discussion and shared education below! Awesome Guys thanks for sharing! I am a huge fan of using project plans for all my projects and I really think this is something that is missing from a great number of peoples endeavours. I have been helping a couple guys with their SaaS business (soon to be released as a podcast) and the first thing I got them to do was create project plan – now they use it daily. Looking forward to the book Doug – very powerful! Yes, a planning is the first step whether you call it a project plan or not. 🙂 That’s great about the podcast and I look forward to checking it out. This is what I’m struggling with. I’ve been trying very hard to implement project management onto my niche website building. I plan on building out the Work Breakdown Structure (WBS) to individual tasks soon and it will be included in the book. The goal will be to have every single task listed along with all the dependencies for each task. Great to hear about your success! I think it’s all about rinse and repeat once you found something that works. Hey Phil – Thanks for checking out the story. Great story! Awesome story about your success in such a short amount of time. I might be reaching out soon to interview you on my show! Thanks! Absolutely…It would be great to be on Voices of Marketing. I’m still trying to catch up on episodes…You’re doing a great job there. Send me an email and we can set it up. Spencer – Thanks for letting me share my story here. I truly appreciate it. I will answer any questions that anyone has for me. I will continue publishing the earnings at my site as we approach Black Friday, Cyber Monday, and the retail season. First let me congratulate you on the great success that you’re having on the website. I’ve also seen pretty good success following many of the technique Spencer has explained here on his blog. One question that I did have is you mentioned using a “buyers” keyword. What type of phrase is that? You don’t need to provide the actual keyword you’re targetting obviously, but I’m actually considering a site with keywords similar to ” for sale” so for example “ebooks for sale’. If you check on those three, you’ll see a few others when you use your keyword research tool – and I hope it’s Long Tail Pro. If not, the google keyword planner will do the job. Yeah those were ones that I’m already using and knew about. I do use long tail pro. I was just curious if you were using some other ones that I wasn’t aware of yet :D.
No problem…thanks again for sharing your story! One more thing that I forgot to tell you, I have taken off all the Adsense and Amazon Ads from the website, but it’s position is not yet showing any improvement. Thanks again in advance. Well done Doug! Glad to hear you are having such amazing success! Long may it last! Hey Andy, Thank you. It is really amazing and I didn’t think it would be so successful in the beginning. Congratulations, Doug! There’s a lot of great insight on here, and your advice (“FOCUS”), is right on—and, probably, it’s something we all have a hard time with! Thank you. I need to take my own advice right now and focus. 🙂 I just got the book back from the editor and there are about 70 pages of red corrections. I know what I’m doing this weekend! I appreciate the reminders of what goes into making a successful site. I have decided to put my personal blog on hold and concentrate my time and efforts on my first niche site. It is quite easy to be distracted by many other good things but with limited time the ability to limit those distractions becomes very important. Hats off to you, Doug, on the success. And thank you, Spencer, for continuing to share these stories. They really do provide a great inspiration, motivation and evaluation. Hey Allen – Thank you. Good luck on your site. If you focus on it 100% there is no reason you can’t dominate the niche. Allen – Is it the dads working from home site? The design is fantastic, man. It looks great. Thanks Doug, thats my personal site. The theme distraction came into play there and on my niche site. Ha! Congrats on your success so far, very encouraging. I really think your project management skills will prove to be an excellent help to streamline your niche site creation, especially as you expand your business with more sites. A few years back I did some technical support work and still find the skill of being focused and methodical and following a step by step process really helpful. Can’t wait for your book, I will be heading to your site now. Hey Lenny – Thank you. There is so much that can be put into a system and be methodical as you mention. The most helpful part of project management has been the “monitoring and controlling process” or a feedback loop. For example, if you are taking a specific approach to link building but it isn’t working, you should take regular checkpoints and adjust. Keep moving forward with the knowledge of what isn’t working so you can figure out what works. Great post Doug. Congrats on your success. 1) You mentioned a lot about intercepting customers who are already on their way to Amazon. Can you clarify this? I assume you mean that, for example, if someone is looking for a iPhone 5c, you’ll write a review for an iPhone 5c and put any necessarily/related keywords into that review so it stands out. And in that review, you add you Amazon affiliate link. But is there more to the strategy than just writing the reviews? I wasn’t quite clear if you were hinting at something more with that statement. 2) I also wasn’t totally sure what you ended up doing for backlinking. You mentioned blog commenting, which I assume you did. And you mentioned you are working on creating a PBN–but that’s still an on-going project. So outside of blog commenting, did you do anything else to get links? Hey Mike – Thank you. Great questions. Basically, someone wants to buy something but they want to see a review or just get reassurance about it before they shell out the money. They probably would have ended up at Amazon anyway. Let’s niche down on your example – “Best waterproof iPhone Case.” People probably would not search for that unless they need one. Use the keyword phrase in the title, meta description, and write normally and you should be good. 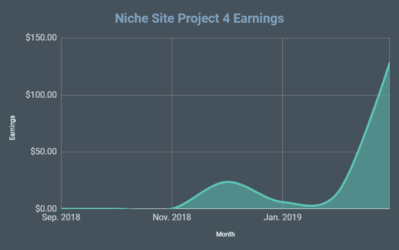 I pretty much followed the formula that Spencer outlined in Niche Site Project #1 for link building: https://www.nichepursuits.com/how-to-build-links-for-niche-sites/. All the classics, Web 2.0, Social Profiles, Article Directories, etc… Nothing too interesting. Mike, did I answer your questions sufficiently? I forgot to mention that I also got some links from a couple web directories for a fee of about $20 each. With the blog commenting, are you getting link juice, or just referral traffic? I am going for link juice only. The traffic was nominal and I assume it was just the webmaster checking to see my site. Did you use an exact match domain, a partial match domain or a brand name for your niche site? How much do you think this matters? Hey Nick – Thank you. It’s a partial match with “thebest” as a prefix. I think it matters a little bit since a visitor might be more likely to click through to the site with a name that is related to the topic. From an SEO standpoint, I don’t know that it matters so much. Go for the partial or exact match if you can. Awesome job Doug, hope you continue to see that fantastic growth month after month! Love the fact that you’ve started to build your own PBN, it’s definitely the way to go. The PBN is cool and so much work. 🙂 If Rank Hero was around a couple months ago I would have used it. Thanks Doug for sharing this inspirational story. I’m trying to follow similiar road you described and in last month I’m seeing fruit of my work. Great to hear your success too. The retail season is crazy. People are buying a ton of stuff! Since you are expecting the traffic drop off after December, I wonder – are you already thinking about (or have already started) another site to make up for that anticipated lost income? She wasn’t as enthusiastic until we got a few sales. 🙂 Now, she’s all about helping wherever she can. She actually really like to help with blog commenting. I could send her a list of 100 blogs to comment on over a couple weeks. So I expect a drop off in traffic and revenue in January, however, I think the revenue will stabilize higher than what I initially expected. I hope. Congrats Doug on your success! Since you keep you project secret and I totally understand it. But could you please share what is the exact searches /month? There are 5400 exact searches per month. My best guess for the secondary keywords are about 6000 exact matches per month. Very well written article. It definitely helped me shake off the brambles and focus. One site at a time, one site at a time..
Hey Doug, great story and I will check out your blog. I think the first step is failure, second is understanding the process, third is not getting distracted. its very easy to get caught up with shiny new things or perfecting the right theme before you even have one visitor. Your skills with project management should be invaluable and I look forward to your insight, shiny new things is often my biggest time waster. Planning, then following the plan to the letter is what I need to get control of. Doug, you are absolutely correct. As long as we take failure as our learning curve we can proceed positively with what we do next time. Great to see your success in such a short period of time. Do you have any recommendations on where we can find samples of a project plan to emulate after for building out our own sites? Also how many sites do you usually work on at the same time? I live in the Atlanta area and if you ever plan on putting together a meetup I would be interested in attending. I don’t have a good sample right now… Check out the post on my site regarding a work breakdown structure as a first step. It’s a work in progress right now. I was working on about 3 sites for a bit and then got distracted working on niche site project. I think if I had a VA dedicated to content creation and link building, then I could have 4 sites going in parallel. What about you? About 3 is the most I can handle. They say you should focus on one. But I feel like given the time it takes to get one off the ground if I can hire a VA to do some of the mundane repetitive tasks I should be able to manage 3 effectively. Just curious. Where/how are you finding your expired domains? Hi Winston – I got a couple decent ones from http://www.expireddomains.net. But the best ones that I got were from Jon Haver. They were exactly in the niche. Doug, this is really outstanding work! I started my niche site project no. 2 right around the same time you did this one, and I’m still no where near the income revenue you’re producing. Looks like I should have opted for an Amazon related site instead of an Adsense one! Like you I’ve found Spencer’s niche site follow-along series to be invaluable to my process. Everything you need to succeed is right there. I’m also really starting to appreciate these success stories as well. It’s great to see how other people are winning at this endeavor. I was doing my own keyword research today and randomly found your site! I won’t give it away as you say you’d like to keep it private in your post. How long did it take you to rank #1 for the main keyword? What do you think the most important thing was in getting to the number 1 spot? Content? Links? KW competitiveness? Hi Jason, Thank you. And I appreciate keeping the url private. It took about 60 days…As you can imagine the there was some shuffling going on once I hit the 1st page. I think the content and links were both very important to reaching #1. I think the content provided valuable content so people stayed on the page for a few minutes and I think Google likes that. Of course, the strong links helped bring some authority to the website. Great thanks for the info Doug! I like the layout of the front page… How long it is. I think that helps keep people on it for awhile which as you said looks good to Google. Also, great advice in your post. I like what you have to say about not wasting time with secondary issues like themes and color pattering. And your focus on knocking off one task at a time. I believe that sentence has an error. Also, Buying your keyword tool is almost impossible from countries that do not allow Paypal. Hi Doug – Thanks for sharing – great inspiration. 1) How many product/article pages do you have? 2) How many Amazon links per product/article page do you use? 1. There are about 25 product reviews. I also have some related articles that are not reviews but they discuss relevant topics in the niche. 2. About 3 – 5 on average in a 500-1000 word review. 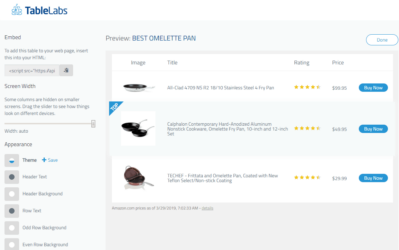 A couple in the text, a picture or two of the product, and a “text and picture” box. Your point about retaining focus is excellent. I can particularly identify with how much time we can waste looking for the “right” theme. And you are correct; 9 times out of 10, the theme that took so long to find often requires endless tweaking to get it to function correctly. Good luck with your book and your niche site growth. Thanks Doug for the sharing! Good to see indeed that it’s possible to have a quick growth when choosing the right keywords. I launched my niche site on french market in July too, and i’s now doing about 1200€ per month. Following pretty much same trend as yours, but in €! I’m now aiming at reproducing the same site in other European languages. Will read your site more often from now on! Hey Kevin – Great job and that’s a fantastic idea to recreate the site. Brilliant. Thanks for sharing Doug, it gives me a lot of hope and inspiration when I hear stories like yours! I’m following Spencer’s niche site project 2.0 and I think/hope I’ve found a good keyword for the UK market. I bought the domain today and the site is now hosted – now the hard work of article writing begins! Hi Sharon, Thanks. That’s great you started the process. I can tell you there is a period after the first 30 days or so that get tough. The traffic will be fairly low but you need to keep at it – keep producing content. Let me know if you have any questions by emailing me at my site. I’ve got a problem. I know that affiliate sites with review content works best and will make a lot of money. But my problem is, how can I get all these reviews? Example: I am from Germany and have got two websites, one about a special part for mountainbikes and one about SSD (its like HDD – harddisk). One both sites, I list the most important and best products of the category. Both (mountainbikes and SSD) are things that interest me, but I can’t order a lot of these items just to test them. So how do you write your reviews? Just by comparing facts about the product? Or just by imagination? Or do you buy the products to test them? I write the reviews by describing the product features and going into detail. In most of the reviews, I mention some of the company history. I never indicate that I have actually used the item unless I really have. For both of your niches, there are some key aspects that you will be able to discuss for every single model. You can highlight the advantages and disadvantages for those aspects. Just posting to say congrats, and thanks for the challenge. Found a great new resource along the way though lol. Anyway, what some people might be surprised to know is that Doug’s not kidding about not wasting time on themes and design. His site is PLAIN, in fact, if you came across it you’d probably guess it was making $10 a mo on affiliate sales, not $1000+. That speaks volumes and is great reassurance for folks starting out; content is king. Also, you found a gem of a keyword, only one other marketeer. I am stunned at the numbers though, I really need to pull the finger out and start to focus on niche affiliate income and stop sleuthing other affiliates. Hi Alistair – Thank you. And, thanks for keeping the URL to yourself. 🙂 I do appreciate it very much. The other thing that is proof that the content is good is all the real visitor questions that come in via comments. The site is actually really helping people. I forgot to ask a question. You laid out your income, but not your expenditure. Perhaps you spent a fair bit on link building, in the interest of balance, can you give an insight into your costs versus the stated income? Good question. I spent no more than about $100 on link related expenses. My wife helps out a lot and she also serves as the Board of Directors – She helps me keep costs down by questioning every single line item. The links mentioned were actually fiverr gigs pointing to some web2.0 blogs and article directory submissions. Nothing fancy. To be honest, i am a bit tired of doing this thing though it has proved that it really works. However, the rankings of my few sites powered by the networks are good. Hey Lebron – That’s great and very impressive! It really is a lot of work. Are you able to take full advantage of the PBN, i.e. is it worth the effort and cost? Can you elaborate on this comment: “I learned I can’t meet my revenue expectations if the average CPC (cost per click) is $0.40 and the search volume is ~1000 exact search matches per month.”? I’m still trying to figure out what CPC, monthly search volume, and competition tells me about the relative attractiveness (or not) of certain niches. Hi Steve, The CPC & search volume are the main indicators – if they are both low, then the potential revenue is low. I should have been aiming for a CPC of $1 or more and searches of 5000 or more. I was way off the mark for my initial web site. Just a follow-up to your “buying” examples: If I wanted to sell trolling motors (theoretical example) and looked at the key words “best trolling motor reviews” I would find that combination gets very few searches but “trolling motor reviews” gets several hundred, “electric trolling motors” gets several thousand, and trolling motors gets 10K+. All have CPC <$1 and are considered high competition. How would you assess the niche and thanks in advance for your patience and willingness to share! It sounds like you may be using the Google Keyword Planner so don’t forget that the “High Competition” means that the keyword is competitive to the advertisers. That is a good thing since it means that advertisers are spending money on it. My assessment on that example based on what you explained: I would pass. “trolling motor reviews” is getting close but I would say that a minimum of 1000 searches should be adhered to. Here is a good test…google the search term you’re considering then check out the results. If you can’t find any niche sites in the first 5 pages then you should probably skip it. If you see other niche sites, then it means that other people thought the niche was worth while. Go back and watch the keyword research coaching calls with Spencer & Perrin…Those coaching calls are awesome. Doug, are you using Gtrends too? Nice to see another niche success story…. Doug, where can I buy your book? Thanks for asking! Go to http://nichesiteproject.com/ and sign up for the email list. It is scheduled to be published on Feb 17. Thanks again. Feel free to email me once you sign up for the email list! thank you for your rally interesting post. I am intrigued about your idea of creating your own PBN. Are on it? How can I contact you on this as I am very interested on this.